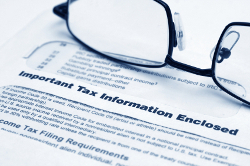 There’s no need to face your tax problems alone when our expertise is available. Hickory CPA firm Russell L. Isenhour, CPA, PC knows how to deal with the IRS and can find a fair resolution to all types of IRS issues as well as state and local tax matters. Placing a lien on your property is just one option the IRS has for collecting tax debts. Russell L. Isenhour, CPA, PC will work to resolve your issues, get any liens or levies removed, and avoid the seizure of your home, car or other property. Russell L. Isenhour, CPA, PC has extensive experience helping both businesses and individuals prepare for an audit, as well as providing on-going assistance throughout the process. Take the first step today by calling Russell L. Isenhour, CPA, PC at 828-322-9300 for a confidential consultation.